Tata Sons is likely to name a new chairman today; the board has called for a meeting, although it said no agenda for the meeting had been announced. Tata Sons had abruptly removed Cyrus Mistry as its Chairman on October 24 and sought his ouster from operating companies like Tata Motors and TCS. He had subsequently resigned from the board of six companies, but dragged Tata Sons and his interim successor Ratan Tata to the NCLT. 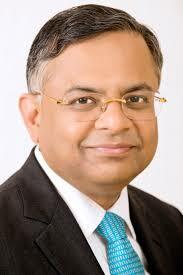 CEO of TCS N Chandrasekaran has been widely speculated to be one of the leading contenders for the role. Sources said that the next chairman will be a well-known insider. 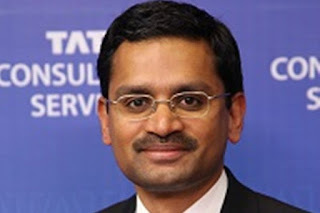 Rajesh Gopinathan is expected to be the new CEO of Tata Consultancy Services (TCS), taking over from N Chandrasekaran who is likely to soon be announced the Tata Sons Chairman. Rajesh Gopinathan is currently the Chief Financial Officer (CFO) of TCS. He will take over India’s largest IT firm and has big task at his hand to take forward the company. So, who is Rajesh Gopinathan? He joined TCS in 2001 and was appointed the Chief Financial Officer in February 2013. Prior to becoming the CFO, Rajesh was the Vice President – Business Finance. According to TCS, in this role, he was responsible for the financial management of the company’s individual operating units. His responsibilities included financial planning and control as well as margin management and revenue assurance.